Something new this year. David Quemby has arranged with three other clubs in the county to form an Inter-club Challenge. There will be teams from each club, 4 different venues, and 4 different disciplines. NAC members can enter for all 4 shoots or just 1 shoot, whatever they would like. It will not necessarily be the same team for each shoot and NAC will try and give as many people a shoot as possible. 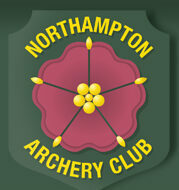 The idea is for archers to get experience at the different disciplines, so no previous experience is necessary. If you are not sure about anything or need to ask about Field shooting, Clout or the Pope Young then please come and ask Dave Quemby. Members of other clubs in the challenge should contact their own organiser. The final shoot, the Pope Young hosted by ourselves, will also include a BBQ. All welcome even if you are not shooting for the team. Everyone is welcome to come along to any of the venues to support and watch if you do not make the team.